you will experience the difference — a friendly, customer-first atmosphere built on honesty, integrity, and transparency. Frank Williams knows that true customer satisfaction begins with a happy, well-trained staff, focused on achieving your end goals in the most positive, convenient manner possible. Whether you are looking to buy, service, or accessorize your vehicle, we are here to help in every way! • Convenient Locations, with indoor and online shopping available! • Transparent Pricing, including a detailed breakdown of your purchase or lease! • Customer-First Facilities with a large & comfortable lounge, featuring complimentary Starbucks coffee & wi-fi! Ranked a Top 10 dealership in the country! Superior Facilities with the largest, state-of-the-art truck store in Alabama, featuring all sizes of commercial trucks and RVs for sale + over 40 service bays! Superior Experience – The most certified shop in all of Alabama, with over 225 years combined technician experience! Dedicated Staff – Friendly, knowledgeable staff committed to the service of others! 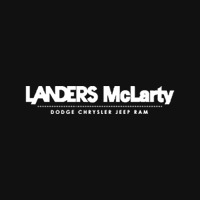 Frank focuses on serving several key aspects of the local community through the Landers McLarty FW Dealerships, making it his mission and promise to give back by supporting many local charities. All of us with the Frank Williams’ team are honored to have the privilege to work and serve in our Huntsville, Alabama community.